Colourful and safe magnetic construction toys for young children, they stimulate group playing, colour recognition, build in 2D & 3D, creativity, role play and logical thinking. 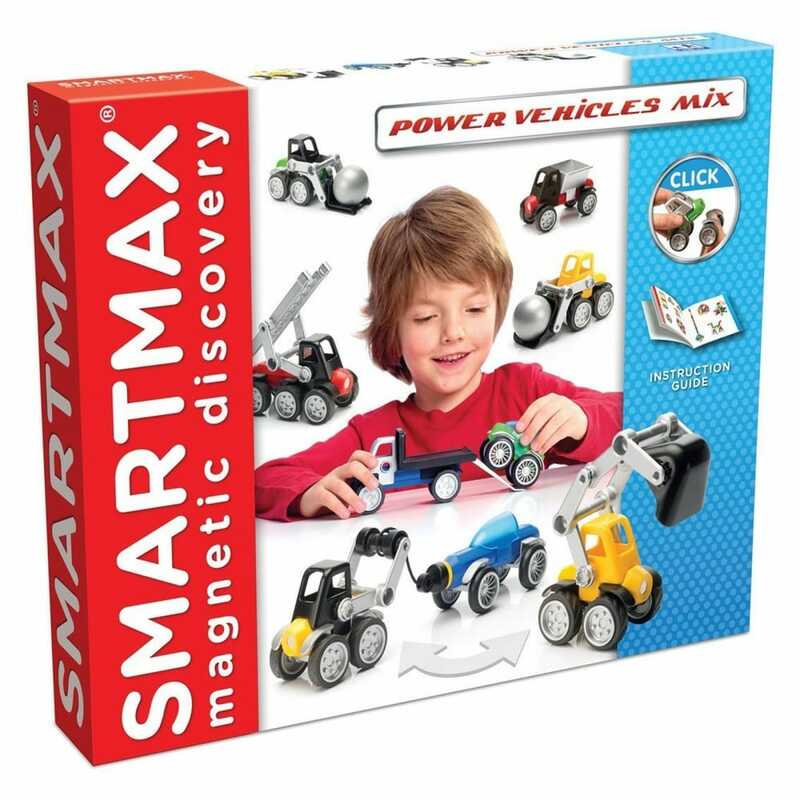 The Power Vehicle Mix is set that will get your imagination going with the selection of parts to make trucks with moving parts. All our parts are bigger than 3cm, made from high quality materials and parts are glued together and ultrasonically welded for final assembly. This makes it impossible for toddlers to tear them apart. The set includes: 2 medium bars, 2 long bars, 1 container, 1 ladder, 1 digger, 1 cockpit, 3 cabins, 3 levers, 2 wheel pairs, 6 sturdy wheel pairs, 1 fork, 1 metal ball, 1 trailer, 1 spindle & hook, and a guide. All parts are greater than 3 cm. My 2 year old grandson kept asking about the cars as we only had the play set. He was really pleased when we got the vehicle set. He likes to put them in a line and pull them along.